So, Convention was awesome--and we were all given a challenge to share Stampin' Up! with at least one person by August 16th. To sweeten the deal, we are going to be rewarded with FREE stamp sets, up to four total, depending on how many of us have at least one person sign up under us. I'm posting not only to share what I love, but also because I want to do my part to increase the number of demonstrators who have gotten one new team member between Convention and August 16th. To accomplish this goal, I am offering the first person who will JOIN STAMPIN' UP! in my group, ANY stamp set in the current catalog(s), FREE! 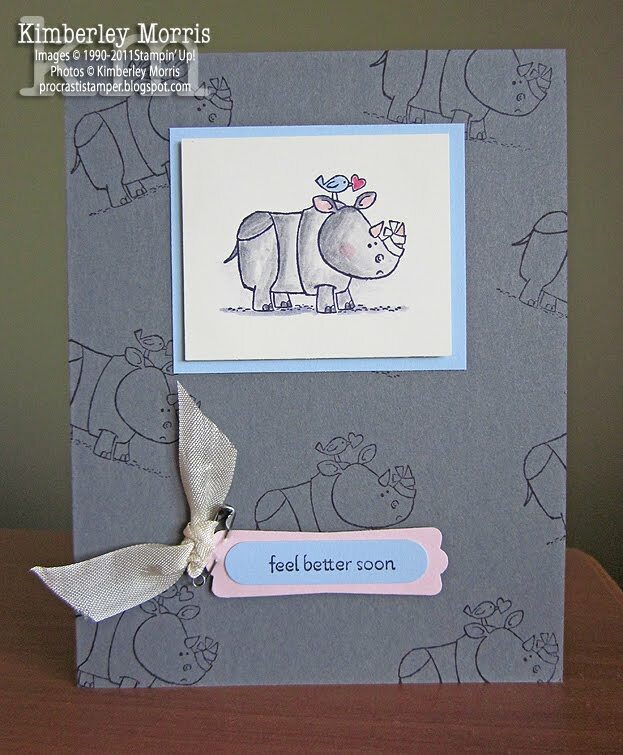 This is just my way of sharing the rewards of my Stampin' Up! demonstratorship with YOU. When I redeem my free sets, I will redeem your set of choice at the same time. Please do not hesitate to email me with your questions, or email me just to give me your phone number so we can talk in real-time, to find out whether or not this is the right time for you to Become a Demonstrator. 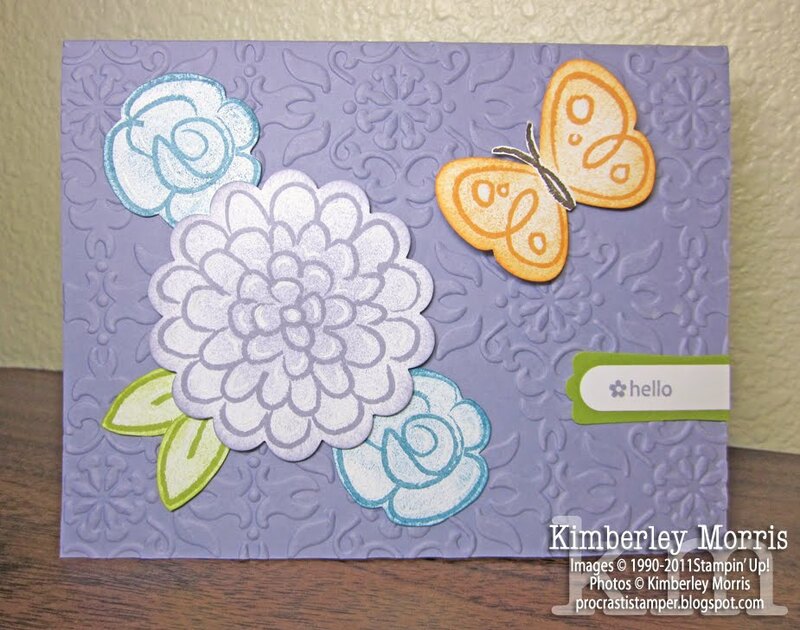 I have been with Stampin' Up! for 17 years (or will have been in just 10 days), and it's not just about having a business. It is about sharing what I love, and helping others learn to create, and the relationships that I have developed with other demonstrators, and with my Hostesses and customers. It's also about personal growth and, for me, self-esteem. When I was in an abusive relationship, one of the things that allowed me to preserve myself was the joy and energy I got from creating, and from sharing my creations with others. Being a demonstrator got me away from my home, where I had been stuck ALL the time with my home daycare business, and I got to socialize with other adults who, as it turned out, appreciated the uniqueness of me. Anyone who is looking for something to call their own, a worthwhile activity to participate in, to create or preserve their own identity, or even to leave their mark on the world around them, can benefit from becoming a demonstrator. And on top of those priceless things, you get a discount on all your creative supplies, and you can even make a bit of mad money for yourself, or turn your demonstratorship into a part-time or full-time passion! I would never want anyone to Become a Demonstrator who feels in any way reluctant, so please don't let me convince you against your own sense of what's right for you. I don't want you to feel like it's now or never...the timing may not be quite right for you, and that's totally okay! I just want to share the opportunity for you to have the experiences in your life that I have had in mine, as a Stampin' Up! demonstrator, and to get a FREE stamp set in the process. It's just like me offering you dessert...my feelings aren't hurt if you'd rather pass, but especially when it's my favorite thing (like stamping...or brownies), sharing is just the neighborly thing to do! Remember: the FREE STAMP SET goes to the first person to Become a Demonstrator on my team before 11:50pm MT on August 16th!!! Stampin' Supplies: Flower Fest stamp set, Tiny Tags stamp set, Whisper White card stock, Wisteria Wonder card stock & ink, Island Indigo ink (stamped off once), Lucky Limeade card stock & ink, Peach Parfait ink, Early Espresso ink butterfly body), White Gel Pen, Modern Label Punch, Word Window Punch, XL Scallop Circle Punch, Butterfly Punch, Stampin' Sponge, Vintage Wallpaper Embossing Folder. 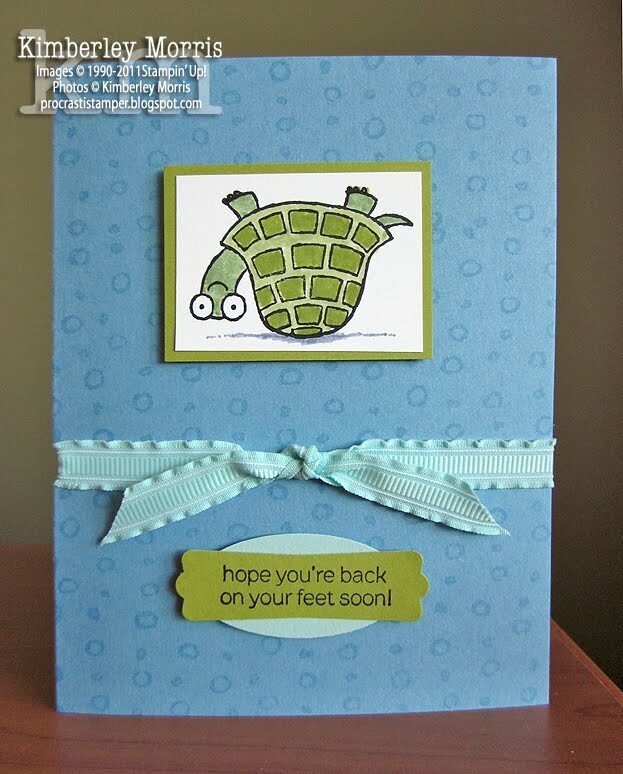 Card uses new stamp set Turtle & Co.